Hot off the press, Gizmodeus Games latest creation is available for bidding and playing at FGL.com! 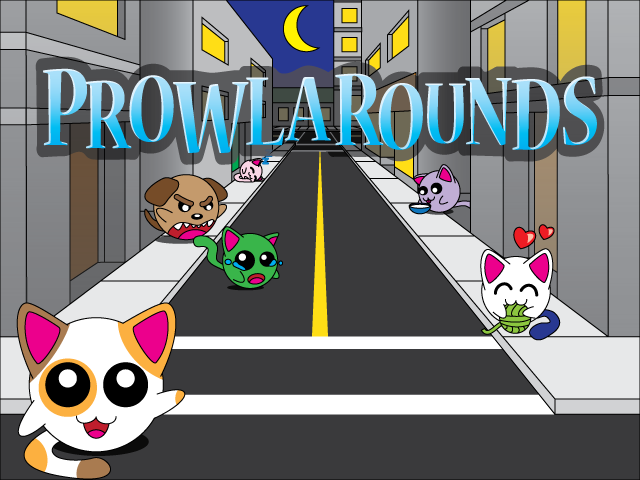 In Prowlarounds, you take the part of Calico, the leader of a gang of alleykittens who must lead them on a puzzling adventure to find their forever home! Dodge dogs, fish-baited traps, and warm sewer grates as you carefully guide your kittens with yarn, milk, catnip and more. Prowlarounds currently features twenty-four levels and a warm, engaging storyline that begins in the scary back alleys of downtown and carries through to the white-picket fence of a suburban refuge. Try Prowlarounds on FGL today, and submit a bid if you would like to sponsor the game. You will need an FGL sponsor account to play the game prior to release.